Decision fatigue could be keeping you from making your best choices. Here’s the research-approved way to outsmart it. Set your alarm for 7 a.m. or 7:30? Shave? Boots or sneakers? Yogurt or bagel? Bike or bus? Tea or latté? By the time you’ve made it to your desk and opened your inbox (if you waited that long to check it), your brain may have already had to grapple with hundreds of decisions. And all those choices — however small — take a toll. “You make between 10,000 and 40,000 decisions a day, and that requires a lot of mental energy,” says Bob Pozen, a senior lecturer at MIT’s Sloan School of Management and author of Extreme Productivity, among other books. Pozen breaks those tens of thousands of decisions down into two basic categories: the important and the inconsequential. The more brain power you expend on the inconsequential stuff, he says, the less energy you’ll have left for the important choices. He and other experts often refer to this as “decision fatigue.” And there’s a lot of research showing this kind of brain drain can mess with your ability to make good decisions. Real-world studies also support this theory of “decision fatigue.” A 2014 JAMA Internal Medicine study found doctors were 26 percent more likely to prescribe unnecessary antibiotics to patients during their fourth hour of work compared to their first. The study team called the choice to prescribe antibiotics “inappropriate” but also “easy,” and concluded that decision fatigue was part of the reason the doctors made the lazier choice as their morning patient sessions wore on. It must be noted that decision fatigue, and its closely related idea, ego depletion, are controversial within the field. Last year, a replication attempt by 23 labs worldwide found a null result, casting doubt on the theory. But, as is often the case in social science, other scientists are continuing research, and finding results. If you’ve ever spent 10 minutes staring at the five-item salad menu at your local lunch spot, totally unable to decide what to order, or checked your inbox only to feel paralyzed by the nonstop flow of missives, all of this research rings true. But why does this happen? Research from Jean Twenge, a psychology professor at San Diego State University, suggests your brain draws on “a common resource akin to energy or strength” when it’s making decisions or performing other executive tasks. Bombarding your brain with choices seems to drain that resource and lead to poorer choices, she says. What exactly does your brain lose when decisions wear it down? That’s still being debated. But it’s possible your brain burns glucose for energy, just like your muscles. As its glucose stores drop, your brain struggles — like a car running low on engine oil. A 2010 study in Psychological Science supports this theory. Researchers found that an uptick in circulating blood glucose corresponds with savvier financial decisions. And a just-released paper from an American and South Korean research team linked glucose depletion with poorer decision-making. When people sipped a glucose-rich drink — sugary lemonade — they used “more deliberative thinking processes” than people who’d sipped a drink without sugar. “We hypothesize that ingestion of sugar provides the body with glucose as fuel for the brain,” the authors of that study write. It’s important to point out that determining what constitutes a “good” decision is tricky for scientists. Tough choices are tough because all available options have pros and cons. So in many of these decision-fatigue studies, the researchers focus on how people make their choices as opposed to what they ultimately decide. Evan Polman, Ph.D., an assistant professor of marketing at the University of Wisconsin School of Business, has published half a dozen research papers that tease apart how the “cognitive exhaustion” that results from making lots of choices changes the way we make decisions. “You see people taking more shortcuts, or going with the default option,” Polman says. By “default option,” Polman is referring in part to your personal habits, or those choices you’ve made so many times that they seem almost reflexive. One example: You always pick up coffee at the shop around the corner from your office. Because that morning coffee stop is a regular part of your routine, your brain doesn’t expend energy deciding whether or not to go there. A series of 2013 studies from UCLA and the University of Southern California backs up Polman’s research on this. When your brain’s energy and willpower are depleted, you tend to do the thing you’re accustomed to doing — for better or worse, the research shows. So if you’re in the habit of checking your personal email — and, admit it, your social accounts — during the afternoon at work, your weary brain may decide to log you into Instagram even though you have a big report due by the end of the day. On the other hand, if you never check your social feeds at the office, avoiding Instagram doesn’t tax your brain’s “regulatory resources,” the study authors write. All of this suggests your personal habits play a powerful role in determining how much or how little energy your brain has to expend throughout the day. Deciding what to wear each morning is one dilemma some very smart and successful people have decided to simplify. Steve Jobs was famous for his black-mock-and-dad-jeans look. Facebook-founder Mark Zuckerberg also wears the same outfit every day. President Obama once told Vanity Fair he tends to wear only blue or gray suits “because I have too many other decisions to make.” If you’re not willing to go the one-look route, Polman suggests deciding what to wear the night before, when most of your day’s important choices are behind you. MIT’s Pozen agrees with that advice. Along with wearing roughly the same attire to work each day, he eats the exact same breakfast — Cheerios, skim milk, a banana — to save himself the 10 or 15 minutes he might otherwise spend selecting his morning meal. “The more you can streamline your routines to remove inconsequential decisions, the more you eliminate work your brain would otherwise have to perform,” he says. But cutting out those pre-work choices is only the first step in reducing decision fatigue. Once you’ve made it to your office, Pozen recommends changing the features of your workspace or work habits that force you to make superfluous choices in the first place. Let’s start with one major source of decision overload: Your email inbox. “Reading and replying to emails is an inherently decision-based activity,” Twenge says. “You’re deciding what to click on and who to respond to.” In this case, the old out of sight, out of mind principle can help. Pozen recommends clearing your computer screen of any inbox tabs or other sources of email-triggered distraction, because simply noticing that your inbox contains new messages forces your brain to stop what it’s doing and decide whether or not to open your email. Some people do this multiple times a minute, which not only causes decision fatigue but also kills your focus and productivity, Pozen says. He also suggests creating automatic sorting commands that will sift email from important people or colleagues into one tab or inbox, while shuffling everything else into a second. That way, when you do open your email, you won’t have to make decisions about a lot of non-urgent messages. You should consider scheduling specific periods of time for email management as well instead of looking and responding in real time as emails pour in. By cutting back the time you spend checking your email, you may end up saving yourself from having to make hundreds of minor decisions. “I recommend scheduling time to check email every hour or two, or blocking off time in the afternoon to go through your email,” Twenge says. Here’s another example of changing your workspace to cut down on decisions: Maybe you keep a bag of pretzels on your desk. Seeing that snack stokes your desire to eat, shows a handful of studies from Brian Wansink and colleagues at Cornell University’s Food and Brand Lab. Whether or not you succumb to that salty temptation, you’re expending brain power laboring over the choice. More of Wansink’s research shows most of us dramatically underestimate how many of these choices we face. The average person believes she makes roughly 15 food-related decisions a day; she actually makes 227. So back to those pretzels on your desk. Just like your incoming emails, every time you notice the pretzels, you have to decide again whether to eat them. By clearing them off your desk, you may save your brain from dozens of decisions, Wansink’s research suggests. In a 2015 Reddit Q&A, Duke University behavioral psychologist and author Dan Ariely pointed to Wansink’s research as evidence that adjusting your surroundings can bolster your ability to make good decisions. Pozen agrees. By removing environmental sources of temptation — whether it’s those pretzels or your email or your smartphone loaded with texts and alerts from your friends — you can relieve your brain of the need to make a choice about indulging or resisting that temptation, he says. Timing matters too. If you want to defend yourself from decision fatigue, you should tackle your most important decisions early in the day. “Even if you’re the type who gets a second wind in the evening and feels more energetic, your brain is probably going to be a little depleted compared to the morning,” Twenge says. That doesn’t mean you shouldn’t mull important decisions in the evening though. You may just be better off saving the final call for the a.m., when you tend to be sharpest. Finally, the specifics of your decision-making process matter. Polman’s research shows imagining how you would counsel a friend faced with your decision can help you see the correct choice more clearly. Shifting perspective like this allows you to problem solve in a more detached way, making your emotions less likely to cloud your judgment, he says. Having a sounding board can also help. Even if you’re not looking for advice or guidance from your pal, “verbalizing a problem and your thought process can provide new insights and help you wrap your mind around something a little better,” Polman says. 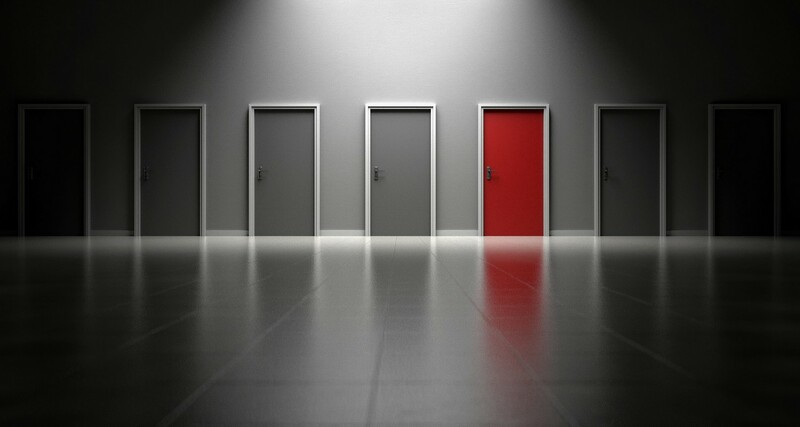 Whenever possible, narrow down your decision by ditching options that you know aren’t feasible, Twenge says. A famous 2000 study from the Journal of Personality and Social Psychology found that, when presented with a supermarket sample table holding either six jams or 24 jams, shoppers were 10-times more likely to buy a jam when picking from just six choices. Faced with “abundant options,” the study authors write, people tend to feel overburdened and overwhelmed. “If you have five choices, but you know A, B, and C are out, set them aside and focus on D and E.,” Twenge says. Of course, you’re not a robot. You can only engineer so much of your time and your decision-making process before life elbows its way in and blows up your best-laid plans. If all else fails, you could just flip a coin.